By the time you are in high school, it is well-established that your looks have greatly affected your love life and popularity. But it doesn’t end there. In fact, your looks will affect your life more than you can imagine and for a very long time. It is also a sad truth that the money you earn and your place on the corporate ladder are often determined by your looks. It is a sad conclusion, but also very true. Believe it or not, your appearance could cost you a raise, promotion or even the chance at a new job. 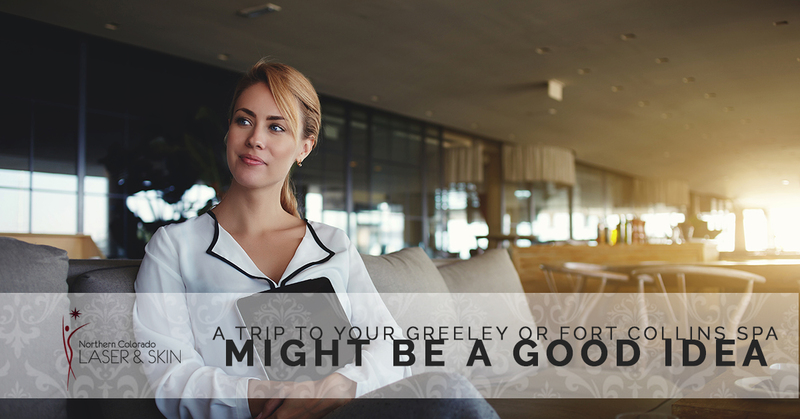 A trip to your Greeley or Fort Collins spa might be a good idea before you go to that interview. When it comes to a job interview, you are not judged only by your experience and skills, but by your personality and your appearance. There is a certain threshold where looks outweigh talent. You have to wonder, then, if you didn’t get that job because of your qualifications, personality or the fact you have a tattoo on your neck that is quite visible for all to see. You might not even have a big tattoo, perhaps nothing more than a heart on your arm, but if it is seen in a negative light, it can affect the outcome of a job interview. The same holds true to a body piercing. It is sad, but it seems as though corporate America is still lagging behind the times. If you do happen to have a tattoo, don’t despair because acceptance is on the rise, but it is still a chance you take when looking to land a great company with a ladder to climb. If you don’t want to chance it, you might wish to utilize tattoo removal treatment. A study found that managers dismiss candidates from the interviewing process for any number of reasons, but 312 percent would do so because of a visible tattoo and 34 percent would dismiss a candidate with bad breath. It looks as though people with bad breath have a better shot at a job than those with a visible tattoo. Research also suggests that employers are looking for people who they consider to be more attractive, with all other things being equal. Oddly enough, this is because prettier people are perceived as more successful and will make the company more money. And as it turns out, more attractive people do make more money for the companies they work for and are, therefore, more valuable employees. The reason they bring in more money runs along the same line; a good-looking salesperson will sell more than one with average looks. Think about it, are you more likely to buy something from an attractive person or an average-looking person? It is believed that blondes have more fun. Perhaps because they make more money. A fairly recent study found that blondes earn more than seven percent more than the females with any other color hair. This pay bump blondes enjoy is equivalent to an entire year of additional education. Maybe blondes aren’t as dumb as some people think. As a bonus, a study found that blondes marry men who make more than husbands of women with other hair colors. As with many things in life, moderation is key when applying make-up. Women are judged by the amount of make-up they wear and those who get it right rank higher in competence and trustworthiness. Studies have found that women who wear make-up, but not too much make-up, can earn up to 30 percent more than women who don’t wear make-up. If you are a woman, it can be detrimental if you are too attractive. Studies show that women who are rated very high in attractiveness face discrimination when applying for jobs that are “masculine” in nature. For example, a very attractive woman would find it difficult landing a position as a security manager or construction supervisor. So if you want a masculine job, it pays to be rather plain looking. Out point is when you visit your spa for beauty treatments, you are boosting your chances of landing a better job or getting a raise. You should try it.